Despite continuing an increasingly involved storyline, Earth 2 #10 is a good jumping-on point for new readers. I love James Robinson's work but he's better known for his sprawling epics and finely detailed scripts than his accessibility. Yet this issue begins with a flashback illustrating events that were mentioned before but not shown in detail and a pompous new villain explaining the current state of affairs to half of our confused heroes and, by proxy, the reader. Robinson's main plot evokes the memory of H.P. Lovecraft, with ancient, powerful beings playing sport with humanity and magical artifacts best left untouched. 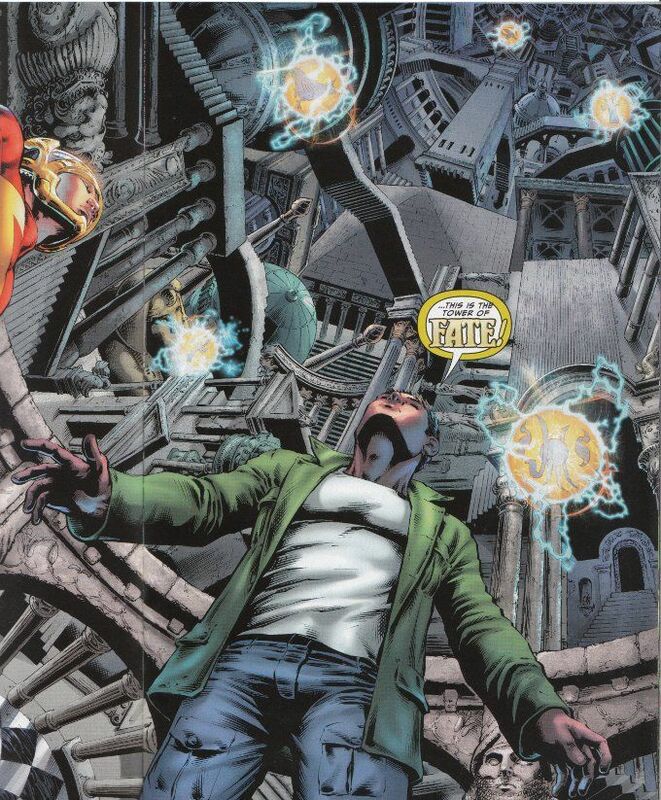 Like many of Robinson's revisions of the classic concepts behind the original Justice Society of America characters, this idea leaves the larger character concept intact while putting a twist on it that will make the character interesting to long-time readers while still respecting DC Comics' rich past. Such is the case with the new Dr. Fate - a mild-mannered archeologist who has become the unwitting recipient of a magical helm that offers great power and great madness to the one who wears it. We see something of this in the B-Plot as well. More, we see Robinson's uncanny ability to develop a complex character in a short span of time. The scene where Alan Scott makes peace with his boyfriend's father is short but no less touching for that brevity. 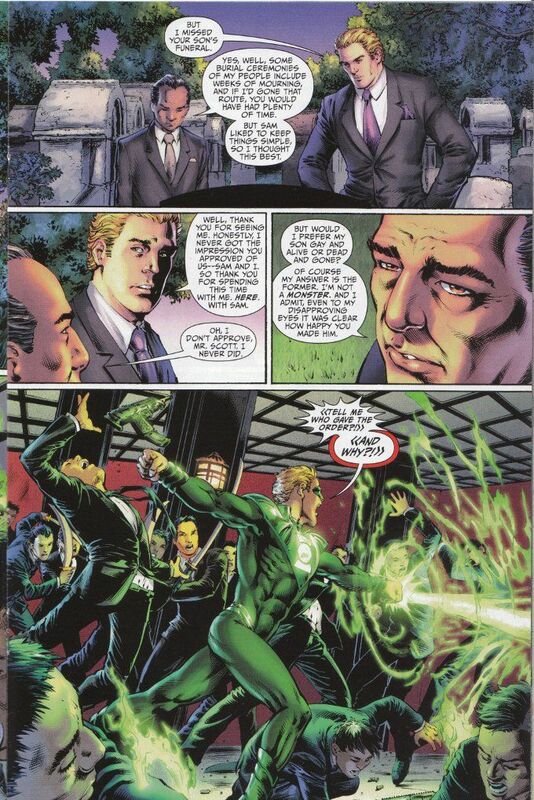 Too, the revelation that the violent attack which triggered Scott's transformation into The Green Lantern was aimed at his boyfriend promises to add to the drama of the upcoming issues. I've spoken before at length of my love for Nicola Scott's artwork. This issue is now my Exhibit A in the case for why Scott is perhaps the most underrated artist working in the industry today. 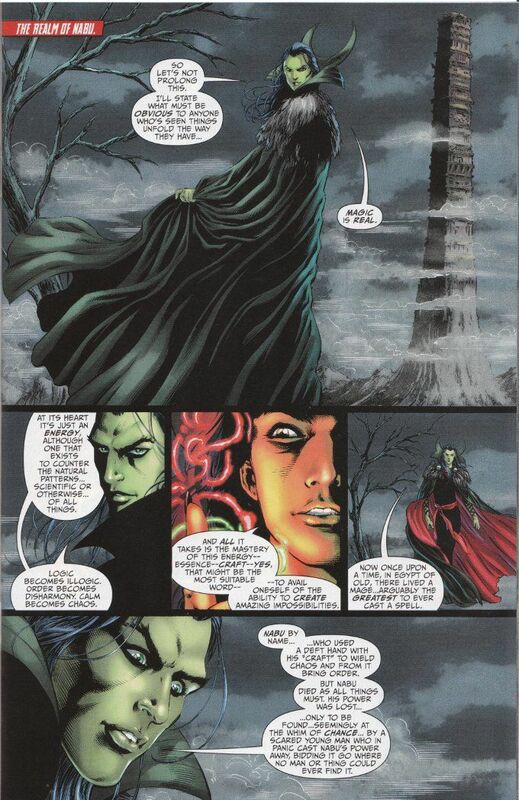 There are few artists who could manage the level of detail and scale required to depict The Tower of Fate but Scott manages the task with style. This image moves past being simply Escheresque or simply surreal, suggesting an actual depth and solidity that boggles the mind as we rebel against the impossibility of what we see. If you haven't picked up Earth 2 yet, now is a fine time to start. The artwork is amazing in its' scope. The writing is similarly detailed yet the stories remain simple enough to be accessible to new readers. And the whole thing is basically a gigantic love-letter to the characters and stories that got DC Comics - and indeed, superhero comics as a genre - started. It's awesome stuff and I can't recommend it enough.